France has warned Italian Deputy Prime Minister Luigi Di Maio not to interfere in the country's politics, after he met French "yellow-vest" protesters. "This new provocation is unacceptable between neighbouring countries and partners at the heart of the EU," the French foreign ministry said. 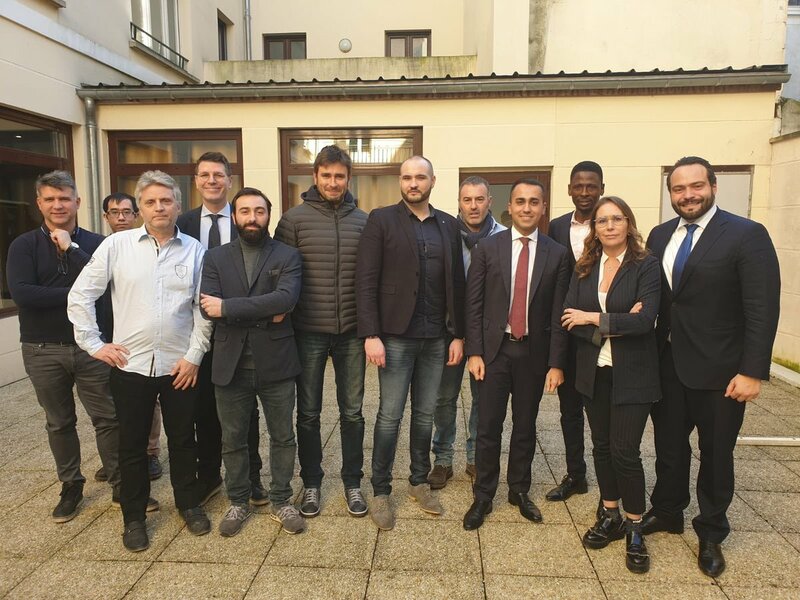 Mr Di Maio, leader of the populist Five Star Movement, met two leaders of the anti-government protests on Tuesday. "The wind of change has crossed the Alps," Mr Di Maio tweeted (in Italian). The meeting took place near Paris. Italy's populist leadership has also recently clashed with France on issues such as migration protests and culture. The "gilets jaunes" protests against fuel tax hikes began last November, saying the measure hurt those who live in remote areas of France and depend on cars. France fuel protests: Who are the people in the yellow vests? 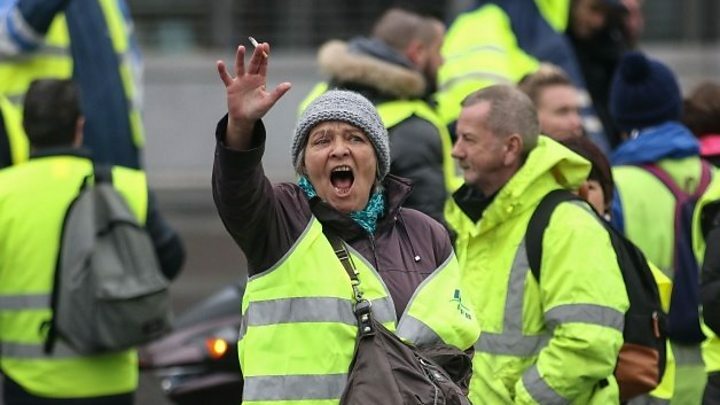 The "gilets jaunes" derive their name from the high-visibility vests they wear - and which French motorists are required by law to carry in their vehicles. But since their first marches - and the government's subsequent U-turn on fuel taxes - their demands have expanded to boosting people's purchasing power and allowing popular referendums. In December, French President Emmanuel Macron said he was "partly responsible" for the "insufficient response" to the protests that have rocked the country.